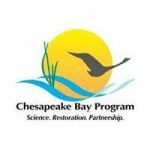 The Chesapeake Bay Program released its annual report on environmental health and restoration in the Chesapeake Bay watershed at an event at the Annapolis Maritime Museum this week. Virginia and Pennsylvania have completed an analysis of the economic benefits of meeting the Chesapeake Bay clean-up goals through the retention of forestland. Virginia farmers will be part of a June 10 celebration marking Chesapeake Bay Awareness Week. Successful restoration of the Chesapeake Bay is predicated on diverse interests working in partnership and at times putting aside differences to pursue common ground. Senators representing Maryland, Virginia and Delaware are calling on appropriators to fully fund the Chesapeake Bay Gateways and Watertrails Program. Senators representing the Chesapeake Bay Watershed blasted President Trump’s budget released Thursday. Governor McAuliffe announced decades of Chesapeake Bay-related data will be added to the Commonwealth’s Open Data Portal. John Smith’s visit around the Chesapeake Bay highlighted the wealth of forests, wildlife and sea life the new land offered. Chesapeake Bay Commission members will launch a series of events next week in celebration of the first annual Chesapeake Bay Awareness Week. The U.S. Supreme Court declined to hear a challenge to the U.S. Environmental Protection Agency’s “pollution diet” for the Chesapeake Bay, upholding the contested plan for bay cleanup goals for 2025. Listen carefully and you’ll hear the sound of bureaucrats scrambling to finalize a flood of new regulations before the end of the year. The EPA asserted federal control over the Chesapeake Bay recovery in its 2010 plan that gives the agency the ability to function as a super-zoning authority. Albemarle County has prepared a draft Action Plan describing how the County has contributed and will continue to contribute towards the cleanup of the Chesapeake Bay. A 2014-2015 interim report card on efforts by Virginia farmers to reduce pollutants reaching the Chesapeake Bay found producers are “generally on-track for meeting programmatic milestones” in a multi-year effort. 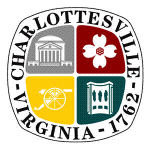 The City of Charlottesville has completed the draft Chesapeake Bay Total Maximum Daily Load (TMDL) Action Plan to comply with the Special Condition of the Chesapeake Bay TMDL. The Third Circuit Court of Appeals upheld the historic clean-up plan for the Chesapeake Bay. Today, a three judge panel of the Third Circuit Court of Appeals unanimously upheld the right of Virginia and other Chesapeake Bay states to work together to protect and restore the Bay. More than 150 major rivers and streams flow into the Chesapeake Bay, Virginia’s most well-known estuary. This historically significant body of water has also provided livelihoods for fishermen, recreation for locals and visitors that flock to the region, and of course has been a vital water source for residents for hundreds of years. Virginia homeowners can help protect the environment and the Chesapeake Bay by planting Virginia-grown plants this spring. Governor Terry McAuliffe today announced that Virginia has been selected to receive a federal grant to accelerate the implementation of practices related to Chesapeake Bay cleanup goals. 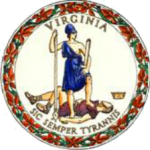 Governor Terry McAuliffe announced today that Virginia has awarded about $21.5 million in grants under the Stormwater Local Assistance Fund. Governor Terry McAuliffe on Monday presented 10 farmers with 2014 Virginia Grand Basin Clean Water Farm Awards for implementing practices to protect water quality. 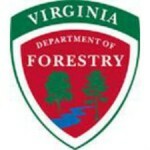 Governor Terry McAuliffe on Tuesday signed an Executive Order continuing the Virginia Coastal Zone Management Program. The U.S. Senate today passed the bipartisan Chesapeake Bay Accountability Act of 2014, sponsored by U.S. Sen. Mark R. Warner (D-VA) and U.S. Rep. Rob Wittman (R-VA-01). 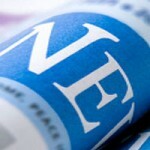 The Virginia Environmental Endowment announced awards of nearly $250,000 to protect and improve the region’s natural resources and environment. Governor Terry McAuliffe announced this week that November is Virginia Oyster Month. Visitors and Virginians alike are encouraged to experience the fresh wild-caught and farm-raised oysters. 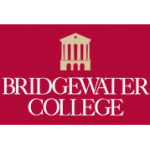 Scott Jost, associate professor of art at Bridgewater College, will read from the oral histories of apple growers who live and work in the Shenandoah Valley and Blue Ridge regions of Virginia at 7:30 p.m. Thursday, Oct. 16, in Cole Hall at Bridgewater College. Today Lieutenant Governor Ralph Northam attended the inaugural meeting of the Climate Change and Resiliency Update Commission. State funding is available for developing agricultural resource management plans as part of Virginia’s new Resource Management Plan program. Leaders from the agriculture and environmental communities across the Commonwealth released the following statements following Gov. 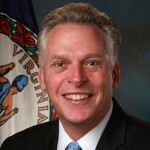 Terry McAuliffe’s visit to Weyers Cave to tout the Commonwealth’s new Resource Management Plan. Governor Terry McAuliffe today joined Virginia agricultural and conservation leaders in endorsing and promoting the state’s new agricultural Resource Management Plan (RMP) program. A cooperative effort between the Virginia Department of Conservation and Recreation and Virginia’s farm community is getting ready to launch, and Virginia first lady Dorothy McAuliffe has produced a television public service announcement to promote it. Governor Terry McAuliffe today joined officials from the National Park Service and the Chesapeake Conservancy, as well as local and state partners, on the banks of the Potomac River at Caledon State Park in King George County to affirm Virginia’s commitment to increasing public access to rivers and the Chesapeake Bay. 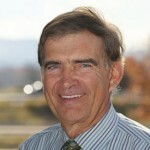 Skyland Resort and Big Meadows Lodge welcomes Greg Redfern, NASA JPL Solar System Ambassador and space expert, to talk about Super Moon, Space and more in the Shenandoah. U.S. Sens. Mark R. Warner (D-VA), Tim Kaine (D-VA), Barbara Mikulski (D-MD), and Rep. Rob Wittman (R-VA-1) urged the Administration to include fraudulent labeling of crab meat in its efforts to combat fishing and seafood fraud.